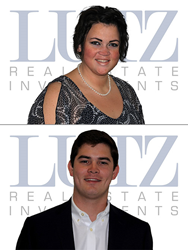 Lutz Real Estate Investments (“LREI”) is pleased to announce the addition of Ashley Lanagan, Marketing Coordinator, and Jacob Timmis, Analyst, to the firm. Lutz Real Estate Investments (“LREI”) is pleased to announce the addition of Ashley Lanagan, Marketing Coordinator, and Jacob Timmis, Analyst, to the firm. Both Ashley and Jacob are based out of the LREI’s corporate headquarters in Birmingham, MI. Ashley is responsible for developing, coordinating, and executing the marketing program for LREI’s growing student housing ownership/management company. She will work with the on-site management / leasing teams to create marketing initiatives, coordinate an online market presence, plan special events at the properties, and manage our social media outlets. Given her past experience, Ashley will also be involved in the management / operations of the firm’s student housing communities. Lanagan attended Wayne State University (WSU) where she earned a BA in Public Relations. Prior to joining LREI, she was the Director of Marketing and Communications for Campus Village Communities. Lanagan joins LREI with over eight (8) years of real estate management, development, and operations experience in the student housing sector. Jacob is responsible for providing support to senior management in overseeing the operations of the firm’s real estate portfolio. This support includes strategic planning, risk management, operations reporting, financial analysis, and investor communication. He is also responsible for underwriting potential acquisition opportunities and participating in the due diligence process for prospective investments. Jacob is a recent graduate of Michigan State University (MSU) where he earned a BA in Economics. Prior to joining LREI, Timmis worked as an intern for ValStone Partners, a real estate private equity investment firm located in Birmingham, MI. Lutz Real Estate Investments (“LREI”) is a fully integrated real estate organization with a history that spans for more than fifty years. Throughout its history, the firm has positioned itself to profit despite the cyclical nature of real estate by investing in diverse property types and geographic locations. In 2012, LREI turned its attention to the education sector and created an investment platform targeting infill student housing communities located near major universities. Today, LREI owns and operates more than 2,900 beds at five major universities around the country. For more information, visit http://www.lutzinvestments.com or call 248-432-3200.